Tansy is a wild herb and a somewhat forgotten ingredient. 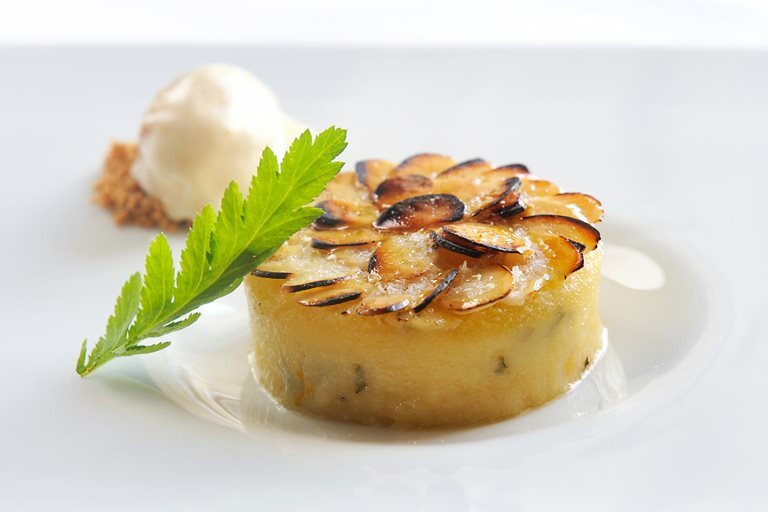 Simon Hulstone has had great success with this floral recipe in competitions – so much so that he named his first daughter Tansy. You can use butternut squash or pumpkin for the ice cream recipe, but butternut squash has a stronger flavour that serves as a perfect compliment to the almond pudding.